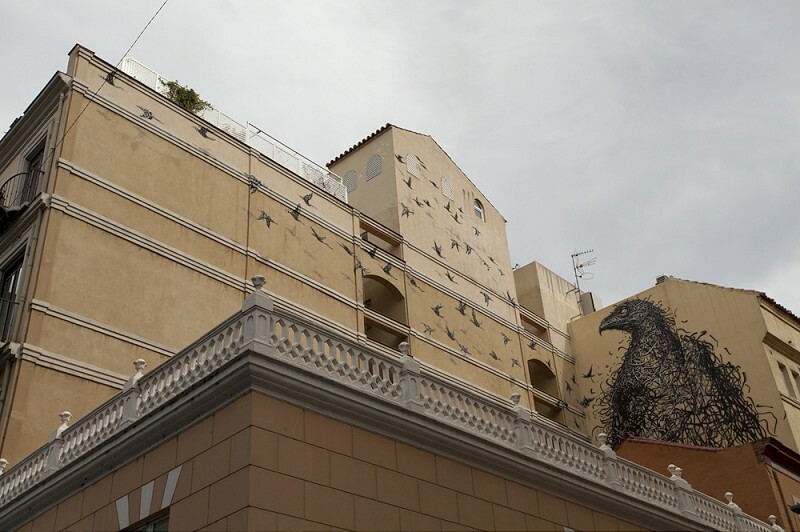 On his recent travels around the world, Chinese born artist DALeast (interviewed) stopped recently in Malaga, Spain, to leave his mark for the Malaga Maus project. 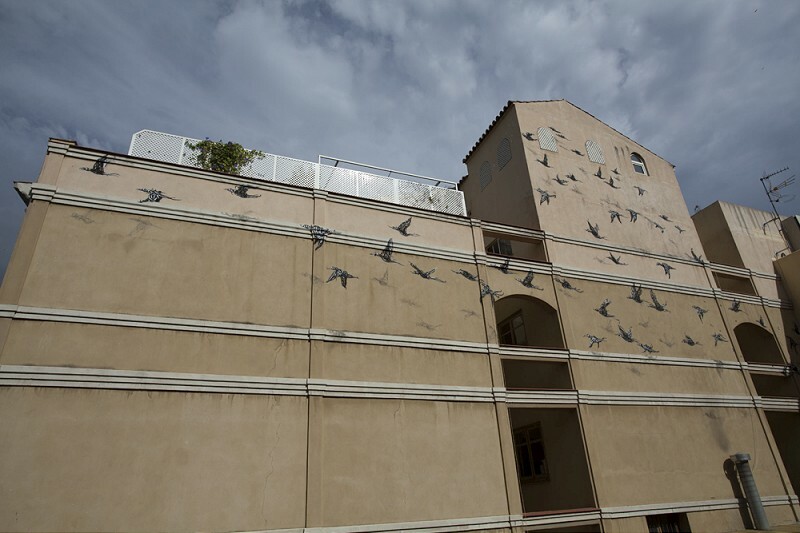 Always up for pushing his work and technique, the artist decided not to place his mural on a flat wall, but used the architectural challenges of the place. 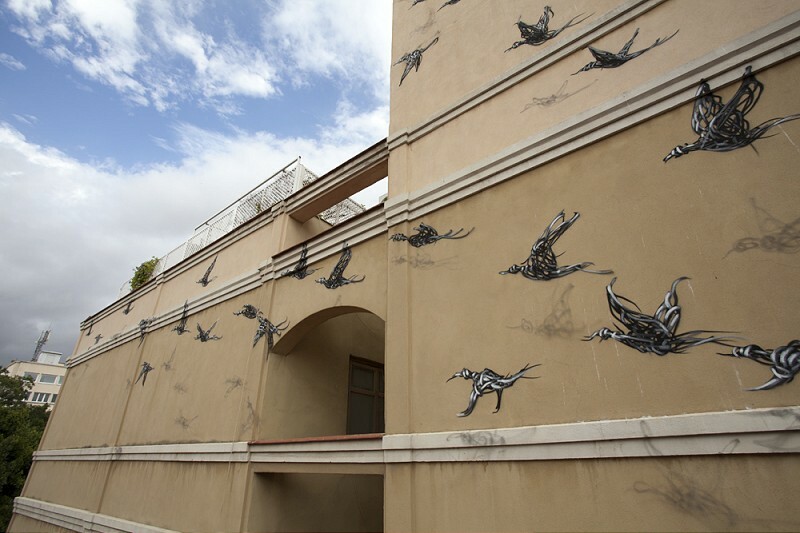 The result is a magnificent mural titled Abiding in The Broken Heart which is showing a giant black bird with lots of smaller birds flying out of it. With his unmistakable line work, Dal showed the big bird both as the creator and the cage of the smaller ones, which gave the piece two different meanings, both focused on emotions that most living creatures have. One about creating your own emotional prisons, and locking yourself inside. And the other is trying to show the emotional state of one abiding the “heart break” situation, but still living and experiencing it. 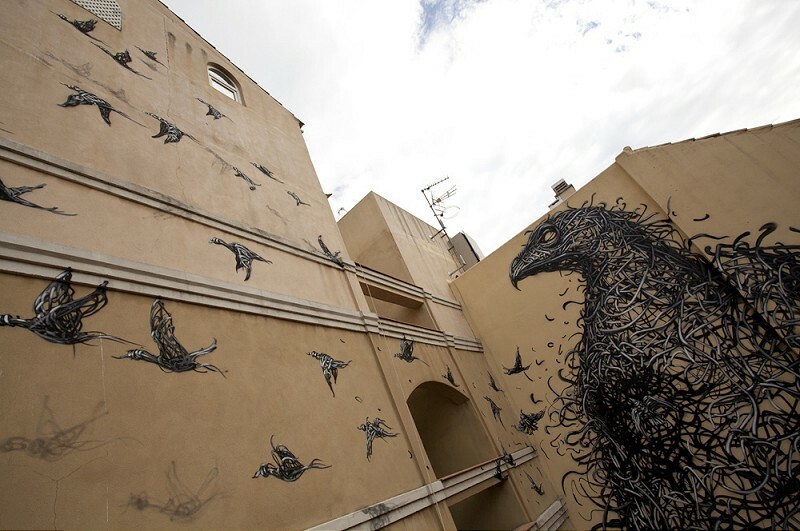 After creating this mural DALeast flew to Puerto Rico to take part in Los Muros Hablan festival, and than to London where he is taking part in Brutal group show organized by Lazarides. Categories: Features, Seen on Streets, Shows & Events, Street & Urban Art. 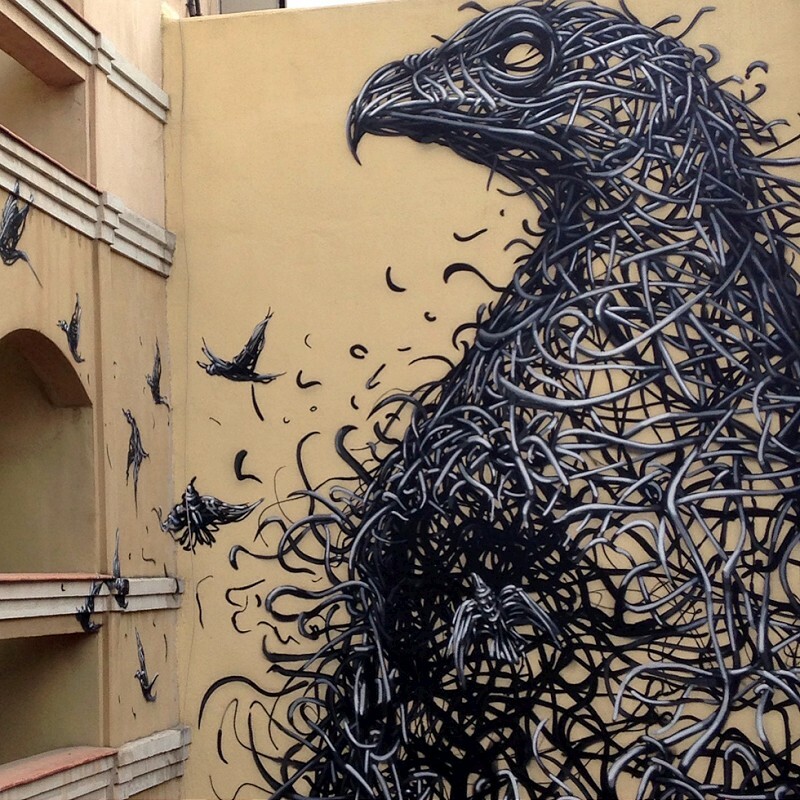 Tags: DAL, Daleast, Features, Seen on Streets, Street & Urban Art.